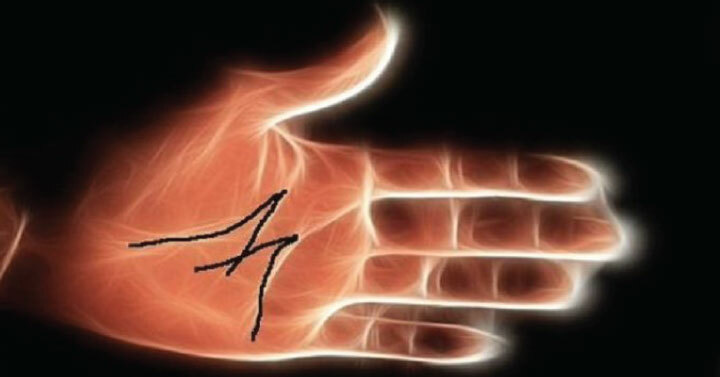 Recommended: Not Everyone Has this Line on Their Palms- This is What it Means if You Have It! Yes I have M on my left palm. That’ is persistent, truly both right and left I have. Who doesn’t have M on his/her palm? It may appear that they have an M. But they don’t. An M is an M! No broken lines! All the lines are deep, well formed, and connect forming an actual M, in my case I also have the triangle. I have a m on bothe hands , the m on the left has a pitchfork coming off the center of the m , I can’t seem to find a meaning of that.. I have seen, and experienced strange things since I was a small child… so does a pitchfork mean something bad ? I have M & M’s in both of my hands. I do have the qualities mentioned. Great article! Thank you! I searched for your question but can not find it. Please repeat the question. I have M on both palms. As I look at the bottom of my feet I have the M on both my feet as well. I have an “M” on both hands and pocess some but not all the traits, I am an Empath if that has anything to do with it. One thing to consider when reading your own or another’s palms. It is a 3 dimensional blueprint with a multitude of layers overlapping each other with great depth. Think of them as charts on top of each other. If you can get into the right state, you can flip between each layer, like you would with pages of a book. If anyone has more insight to share, then please do, even how small. After all, together we grow stronger. eat some m&m’s and stay close to our LORD Jesus Christ. Our only savior, and nothing else matters. If you have any questions about life; read the owners manual for life (the BIBLE). Rather not thanks. Been thete and done that. Ill stick to being a Wicca. I have M&M’s and ate them all up, they were delicious! Which palm is meant to be read? My dominant hand is my right, but my two palms are quite different to each other, as I’m sure most people probably are.